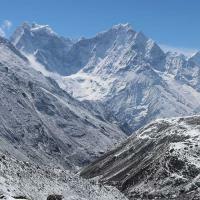 Entire view of the Himalayas including Everest. 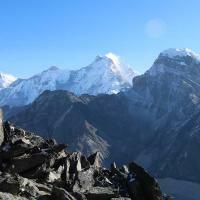 This fresh trek offers the views of entire 8000rs Himalayas of Nepal. Off the crowd trail and real Nepalese culture still exist in here. The scenic trail with lush green hill gives you the thrilling experience. The 360 degree view from Pikey Peak will be your profile print in your memory for lifetime and it helps to know the geography of Nepal. This unique trek is suitable for all type of travelers, student, adventurous, family and nature- lovers. 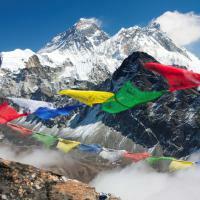 This fresh trek offers the views of entire 8000rs Himalayas of Nepal. Off the crowd trail and real Nepalese culture still exist in here. The scenic trail with lush green hill gives you the thrilling experience. The 360 degree view from Pikey Peak will be your profile print in your memory for lifetime and it helps you to know the geography of Nepal. Scenic road drive will be the perfect solution for the 1st day till the place called Dhap. 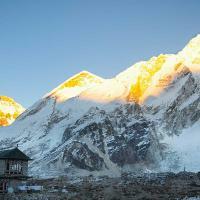 This beautiful hill serves the best view of the Himalayas and surroundings. There are local tea houses on this little chilly hill which serves the local foods with their garden vegetables. Now, ready to stretch your legs through the small villages. Gentle trail through farming terraces will take you to the place called Jhapre for overnight. In spring local jeep can be reached till this place. Some pastureland with mountain ridge makes the trail thrilling experience and you’ll be the Pikey Base Camp, today. In this pasture hill, quite common to see grazing yaks and quite close distance there is Yak cheese shop which is run by government. After breakfast 1.5 hr walk you’ll be at the Pikey Peak (4065m), the 360 degree view awaiting for you. This stunning view will leave you the lifetime print on your memory. After the the Pikey the downhill trail will lead you for overnight stay at Jasmane Bhanjang. Again with the amazing view with little up and mostly downhill trail through jungle trail you’ll be reached at the Sherpa Settlement called Jungbesi. One of the most beautiful village in Solukhumbu. This village has lots of things to explore. There is Higher secondary school in middle of the village which is donated by Sir Admond Hillary and monastery on top of the village. About 2 hours uphill walk lead you to the another biggest monastery called Thupten Chholing Monastery. This monastery itself looks like a small village, there are lots of small shelters for Nuns where they can pray and spend their daily activities. The final day 3/4 hrs walk lead you to the place called Phaplu where your trek will be end and ready for long drive tomorrow. Drive back to Kathmandu(1350m). 10hrs. Early morning drive back to Kathmandu.